Looking to do some Christmas shopping over the weekend? Well its all kicking off with 2 very festive Christmas markets in Stellenbosch this weekend where you can find all kinds of glorious Christmas festivities going on. Along with lots of delicious food to buy and fabulous gift ideas, these markets are going to get you in the mood for Christmas. 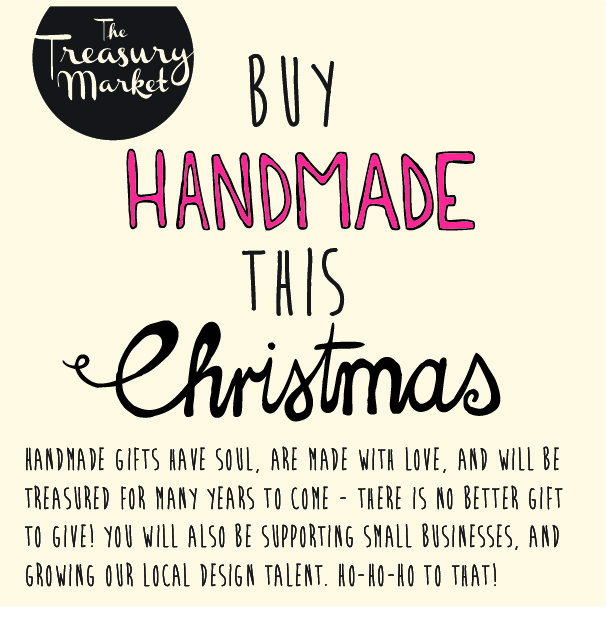 Friday night the 30th November brings the Stellenbosch Slowmarket Christmas Night Market and then Saturday day the 1st December brings the Treasury Market Slow and Handmade Christmas Market, and if you are in Joburg this weekend make sure you don’t miss out on Room Online‘s stall at Collective. So hopefully I will see you all there. Please pop in and say hi if you are in the area. If you are in Joburg this weekend, my lovely stockist Room Online will be selling all kinds of awesome goodies at Collective, so if you missed out on the FoodWineDesign Fair do not fret you can still get your hands on some lovely Handmade By Me items this weekend. This entry was posted in events, Uncategorized and tagged amphitheatre, art, artisans, buy, call to action, ceramics, champagne, christmas, clothing, collective, crafts, design, designer, designer fashion accessories, designers, fabulous gift ideas, friday, fynbos, gifts, gingerbread, goodies, handmade, home, houses, jewellery, joburg, johannesburg, kids, local, market, music, night, online, online shop, oude libertas, pop up, room, room online, roomonline, saturday, shop, shopping, slowmarket, stellenbosch, stockist, textiles, toys, traditional, treasury, xmas by seraholland. Bookmark the permalink.